ps: dont look it up on youtube, just your unbiased opinion. maybe i see, and others see things other others dont see. personally nothing, you are probably thinking you see an alien, but looks something like decoration on the outside of the door…!. thanks, yes i either thought i seen an alien or an vase. much thanks on your honest and fresh view on the matter. in a lot like clouds. What the heck? It looks like some kind of rotten face demon chick. Pretty freaky. well i wouldn’t say rotten. its different in atonemy, but yes i also made a face shape out of it. its funny how the mind works, we see face shapes patterns in a lot like clouds. yet this one example i now exhibit, is very detailed. 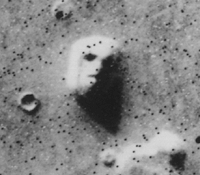 almost more than the normal Pareidolia effect. Ok, but what if others see it too? At what point can it be considered real? When I was “psychotic” (by others definition, I saw many things that looked like real beings, they walked and talked and yes, posed for pictures. There were faces in everything, the texture on the wall, the shower curtain (that actually spoke something funny to me), the pile of laundry on the couch-clean of course, especially neat were the shadow faces twirling around in the column of twisty, smoky looking shadows on the living room wall from the trees and shrubs outside the house. I took a lot of pictures and video at the time just because I wanted to see if I saw the same thing when not psychotic. Cut to 8 years later, and as I look through all those pictures, I still see the same images. I say they weren’t my psychosis, but actual live beings. have you shown the photos and videos too others? and what did they see in them? Yes, shown to others. Yes, they saw the same things. Yes, some of the photos went missing-naturally. Gone, but not forever. One not very religious guy saw the virgin of Guadalupe in one of the pictures taken in our kitchen, sure enough, has just the right colors and face. But was it all real, who is to say?